ST. PAUL — The Saint Anthony Park Library has released its March 2015 Events Listing. The library is located at 2245 Como Avenue, St. Paul, MN 55108. Thursday, March 12, 2:00 p.m.-4:00 p.m. 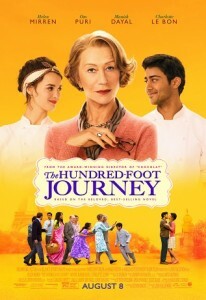 The movie featured this month is “The 100-Foot Journey”, the story of the Kadam family who leave India for France where they open a restaurant directly across the road from Madame Mallory’s Michelin starred eatery. This film stars Helen Mirren, Om Puri and Manish Dayal. Running time is 122 minutes. Everyone is welcome, there is no charge, and light refreshments will be served. Wednesday, March 25, 7-9 p.m. Hear the Genre finalists read from their nominated works. Tuesdays, Mar. 3, 10, 17, 24, 10:30 a.m.-11:00 a.m. and 11:30 a.m. to Noon. We are continuing the experiment of having two baby/toddler storytimes per week. Baby/toddler storytimes are geared for babies and toddlers ages 0-2, but siblings are welcome. Storytimes include stories, songs, puppets, and more. Enjoy time with your child while building a foundation for reading success. Children of all activity levels are welcome. There will be no Baby/Toddler Lapsit Storytimes on Tuesday, March 31. Tuesdays and Fridays in March, 2:30 p.m.-3:30 pm. Wednesdays in March, 4-5:30 p.m. If English is not your first language, come and practice in casual conversation. All are welcome. Come when you can. Co-sponsored by the U of M Retirees Volunteers and Partners in English. Fridays in March, 10:30 am-11:30 a.m.
Storytimes feature stories, songs, puppets, and more. Preschool storytimes teach social skills, listening comprehension, letter and number recognition, and vocabulary. Enjoy time with your child while building a foundation for reading success. Children of all activity levels are welcome. Wednesday, March 4, 6:30 p.m. to 8:00 p.m. This month, the Book Club will discuss Little heathens : hard times and high spirits on an Iowa farm during the Great Depression by Mildred Armstrong Kalish. Thursdays, March 5 and 19, 10:30 a.m.-11:30 a.m. Please join us for Mandarin Chinese storytime, with stories, rhymes and songs in Mandarin Chinese. Storytimes feature stories, songs, puppets, and more. Preschool storytimes teach social skills, listening comprehension, letter and number recognition, and vocabulary. Enjoy time with your child while building a foundation for reading success. Children of all activity levels are welcome. For more information about upcoming programs, please call the Saint Anthony Park Library at 651-642-0411 or visit www.sppl.org The Saint Anthony Park Library is located at 2245 Como Avenue, St. Paul, MN 55108.